It’s no longer a secret that cutting sugary carbs and getting away from grains has improved how you feel. Add that to the fact that ditching dairy and forgoing anything “fake” sounding – you know, those foods with ingredients you can’t pronounce – has also improved your skin and digestive health. Now you’re left wondering why you didn’t start eating like this years ago! For many of you reading this, your decision to commit to the Whole30 was rooted in losing weight, feeling better, or improving some form of a skin or digestive issue, with exercise improvement being far down on the priority list. But did you also know that your Whole30 approach to food has the potential to improve your exercise performance, too? 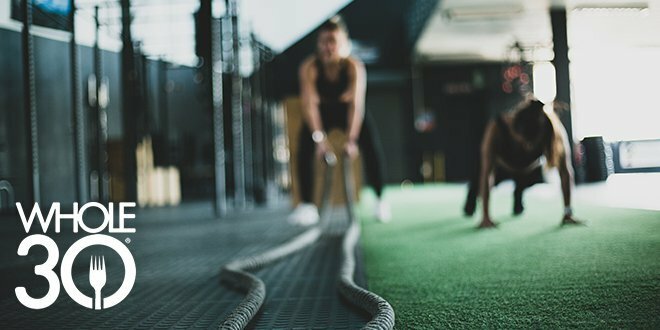 Whether you’re running races, crushing CrossFit workouts, or beginning your exercise journey with a few brisk walks each week, choosing the appropriate fuel before and after your workout can further fuel the goodness you feel and progress you desire. And you don’t even have to eat 8+ meals per day! You can simply continue to eat every 3 – 4 hours throughout the day, and slightly adjust your meal times to maximize energy, performance and recovery. How Many Times Per Day Should I Be Eating? To optimize your energy levels (both during your workout and the remainder of the day), focus, and appetite management, we recommend you eat every 3-5 hours, rather than leaving it at “three meals per day.” When it comes to optimizing your nutrition to maximize workout performance and recovery, this means you’re left having to make little, if any, change to your current eating structure. You simply need to adjust your meal times as recommended below to ensure maximal benefit. Do I Even Need A Pre- And Post-Workout Meal? You may be thinking about whether the type, intensity, or duration of your preferred exercise even warrants a specific pre- and post-workout meal. Regardless of activity, eating a few hours before and soon after can have a positive impact in many ways, including improved performance, enhanced recovery, and sustained energy during the remainder of the day. But these can just be normal meals! Significantly altering portions or including intra-workout fueling is only recommended if your workout is (a) more than 60 minutes, and (b) at a moderate to high intensity with continuous/consistent effort. A brisk walk, yoga class, or easy gym session doesn’t require significant additions to your nutrition, nor does a 5-minute met-con at the end of your casual lifting session. In addition to being nutritious and delicious, food is a source of fuel for the body. This is particularly true for your muscles. What you eat, when you eat, and how much you eat before your workout has a direct influence on just how good your workout will be. Purpose: The purpose of your pre-workout meal is to ensure your muscle fuel tanks are near maximum capacity so that you can experience consistent energy for the entirety of your workout. Timing: Ideally, your pre-workout meal should be eaten two to three hours before your workout begins. This will give you ample time to digest the energy you take in and minimize the chance of you beginning your workout with a bloated workout. However, we recognize that life happens, and you don’t always have control of meal times (ugh, another meeting! ), so, if your pre-workout meal gets pushed to an hour (or sooner) before your workout is scheduled to begin, opt for smaller portions. Components: Your pre-workout meal should focus on protein and high-fiber carbohydrates – think chicken or turkey breast, lean beef, fish and seafood, as well as sweet and white potatoes, squashes, berries, melons, bananas, and beets. Protein should be a component at each meal or snack, eaten every 3-5 hours. Not only does protein play an integral role in muscle maintenance and repair, but it also has a positive impact on appetite management, which helps you avoid cravings and snacking. Protein is also important pre-workout because you’re about to embark on an activity in which you intentionally break down your muscles. Having plenty of protein at your meal prior can help to enhance the recovery process. Carbohydrates are your body’s primary fuel source. This is especially true when you’re engaging in higher-intensity activity, such as CrossFit, basketball, sprinting, or any form of an interval workout. Eating carbohydrates before a workout will provide the muscles with readily available fuel (taken from the blood), which is easier to access than digging into stores glycogen. Plus, depleting glycogen levels set off fatigue sensors in the body. Eating some carbohydrates pre-workout will help you finish the workout strong. Sample Meals: Does the above sound familiar? Anything that follows the Whole30 meal template will work for pre-workout. Try grilled salmon with roasted sweet potatoes and cherry tomatoes, or roasted chicken over a bed of cooked greens with a side of roasted beets. Note: If your pre-workout meal falls really close to your workout (60 minutes or less), consider a smaller portion of lower-fiber carbohydrates, such as sweet or white potatoes, which will provide readily available fuel for your muscles without the risk of stomach distress as you walk into the gym. What if I work out first thing in the morning? If you wake up and train right away, you have two options to ensure you’re well-fueled before beginning your workout. First, you may choose to focus on smaller portions and lower-fiber carbohydrates to prevent walking into the gym on a full belly, which may negatively impact your workout. Or, you may forgo food altogether, and instead begin sipping on one of the intra-workout carbohydrate options described 15 minutes prior to your workout. Lean protein can take a backseat at this meal if you feel that may be too much food to digest, but make sure you consume adequate protein in a timely manner after finishing your workout. If your workout will last longer than 45 minutes and is performed continuously at a moderate to high intensity, it’s advantageous to replenish the fuel you’ve burned through to ensure you’re able to maintain a high-rate of performance. This means consuming a carbohydrate source during your workout. Purpose: The purpose of consuming fuel during your workout is to replenish the fuel burned so far to ensure you can finish your workout with the same energy and intensity you started with! Components: Acceptable options during this time include 100% fruit juice, berries, bananas, and citrus fruits. Although 100% fruit juice and dried fruit are technically allowed on Whole30, you know we advise a strong approach to moderation here due to the high sugar content. However, since your body is rapidly burning through your fuel during a long, intense workout, this is an ideal time to include these higher-sugar foods because your body has an immediate need for the sugar. Note: If your primary workout of choice is resistance training, you may consider consuming a source of protein during your workout, which will optimize recovery and muscle growth. A Whole30 compliant option to consider is NOW Foods 100% Egg White Protein. If you suspect drinking calories during your workout will leave you feeling nauseous or uncomfortable, consider starting small. Start with 10 grams of carbohydrates and assess how you feel after a few workouts. Remember, you burn carbohydrates and lose plenty of fluid and electrolytes in your sweat, so replenishing what you lose will only help to enhance performance and recovery. If after a few workouts you’re still not feeling well, stick with water during your session, and make sure you’re eating plenty of fuel before your workout. Purpose: The purpose of your post-workout meal is to jump-start the muscle building and repair processes and to also replenish your fuel tank so you’re back to near 100% for tomorrow’s workout. When: Your post-workout meal should ideally be eaten within 60 minutes of finishing your workout. This will help to maximize the benefit of protein and carbohydrates. Components: Your post-workout meal should also focus on lean protein, high fiber carbohydrates, and plenty of veggies. Protein is specifically important at this meal since you just spent the previous hour (or more) literally breaking down your muscles. And, of course, since you deliberately emptied your fuel tanks, now is an excellent time to replenish them because of how receptive your muscles are to fuel replenishment shortly after a workout. Sample Meals: Again, anything that follows the meal template will work. Try an egg omelet with spinach, bell peppers, onions, and garlic (cooked with olive oil), and a side of fruit salad; or pork tenderloin with a side of jicama and golden been slaw and steamed broccoli. Pre-and post-workout nutrition doesn’t have to be complicated, nor does it have to rely on processed foods and powders. For most Whole30’ers who are interested in staying active and healthy, following the Whole30 meal template, focusing on nutrient-dense foods, and taking the time to plan your meals around your training sessions or activity will help you achieve your fitness and lifestyle goals. 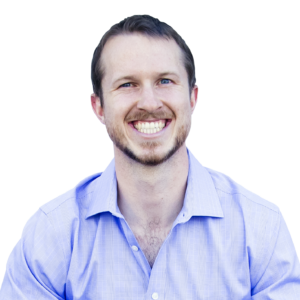 Paul is a Registered Dietitian and Sports Nutrition Coach with Renaissance Periodization. He’s the former Nutrition Editor for Bodybuilding.com and former Sports Dietitian for IMG Academy. The past few years, Paul has worked 1:1 with 800+ men and women, helping them to transform their lives while collectively losing thousands of pounds of body fat and building hundreds of pounds of muscle. His passion is sustainable weight-loss and he’s known by many for taking a detailed and long-term approach to pre- and post-diet weight maintenance phases. He appreciates being compensated in peanut butter. Start working with Paul and get a personalized nutrition plan and expert coaching today!